The first Stella I had was middle of the road, and that was very disappointing. Ciders have not been great across the board. That all said, even the crappiest brewer can produce awesomeness, and some ciders are very good. Let's look at this with fresh eyes and a soul full of hope. She's a golden beverage with a white head that runs away like a hunter when he finds out there is a sale on ammo at Wal-Mart. The aroma is decidedly more wine-like than most other ciders I've had. It's a bit floral and, not too surprisingly, apple. My second Bell's beverage, and the first was sensational. 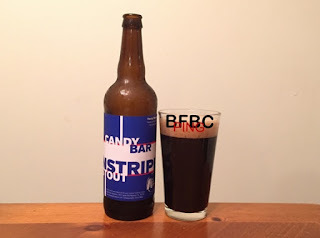 This particular beer says that it uses licorice in the process, and that really can't be a good idea. Seriously, just start brewing beer with good ingredients that are supposed to be there. 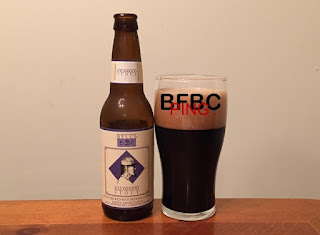 Once you have established a fantastic regular stout, move onto more experimental beers. Nevertheless, this may surprise me. After all, their Two Hearted Ale was really damn good. It's a deep brown with a sandy tan cap. Lacing is impressive, and the aroma is heavy. It is filled with chocolate and licorice and heaps of freshly brewed coffee. The effect is to make the mouth water, but there is a bitterness in both the chocolate and coffee that taints the smell, but it also makes the beverage more alluring. This game is a love letter to nostalgia. It reconstructs the early years of Atari and the dawn of console gaming in the home and it builds this story around ET, the main pedestal-worthy game that embodies the same issue that modern movie-offshoot games have with a driving force of time over substance. 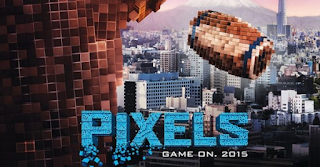 Like the theme, the movie itself is more style over substance, but I get ahead of myself. We follow a man's quest to locate and dig up the rumored millions of ET cartridges that were dumped in a land fill after a terrible debut and massive returns of the horrifically bad game. The idea is that the game was so bad that it single-handedly brought Atari, the mega-mothership of video gaming at the time, to its knees and ultimately killed the company. The director then uses this mission of gathering crappy old games as a centerpiece for explaining how important Atari was and how they became so profitable and so powerful until ultimately being put out to pasture. I've been to Sevierville, but I've never been to this... Dumplin Creek. Sounds like... well, it sounds like something you would find in the foothills of Tennessee, and that's exactly where it sits. 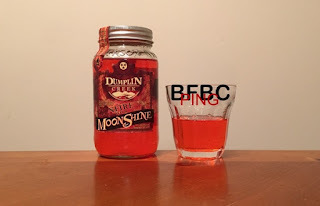 This moonshine is 90 proof, and I think the only thing I have had on this blog that was stronger was the white lightening, and it was undrinkable lighter fluid. This stuff? I guess I'll find out. The color is more like a burned orange than a red, and I really expected red. The aroma is pervasive and is unmistakably moonshine with a very heavy kind of old wood and heavy, heavy cinnamon. I mean, they really seemed to have piled the cinnamon on pretty high to get this thing smelling like it is. Maybe that's to mask the gasoline-esque taste of moonshine, and I hope they succeeded at least as well as the butterscotch stuff I've had a few times (which gets better with exposure to it). My first Stillwater beer was very good. As for farmhouse ales, they can range from not great to really good and right smack dab in the middle. As Stillwater's first beer was good, I have quite a bit of hope that this one is, but I'm still sort of put off by the "artisanal" label. I don't know why, but it just bothers me. I'm not going to dwell on that, though, I'm going to give this the most honest shot that I can. The straw yellow beer loses the head pretty quickly, and it leaves no lacing on the side - just a soft, creamy 1/8th inch or so across the top of the beer. The aroma is bright, musky yeast and citrus. It reminds me of the blondes or... yes... the Belgian beers I've had lately. It kind of smells like they sifted it through an old sock or something. 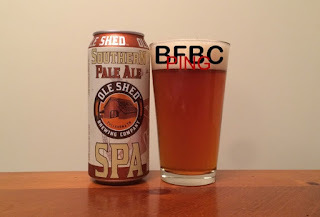 Fresh from outside of outside of outside of Nashville, Tennessee, this beer claims to be a "Southern Pale Ale." I've been to Tullahoma, and there isn't a whole lot there. The fact that these guys went ahead and brewed a beverage makes me think that it might be a good one, if people outside the area have started packing and shipping it. The beer has a very slight haze to it, but the amber glow is inviting as the white head dissipates into a sticky but uniform cap. Lacing on the sides is substantial and lovely. The aroma is more malty than I expected, with bread and yeast at the forefront. Hops are sitting there, as casual as they can be, letting you know that they aren't working too hard. The first Ommegang beer was a very, very nice surprise. 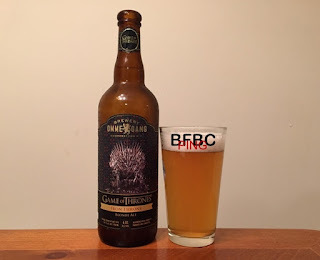 This is one of the other beers from the clearly brand-diluting "Game of Thrones" series, and the first one could have started its own "Game of Thrones" merchandising megaproperty. Well, maybe not a MEGA property, but it would have had its own merchandising opportunities. The murky golden beer has a fairly sticky head that reluctantly leaves a bit of lacing on the sides. The aroma bites at the nose with Belgian spice and floral hops. The smell is very aggressive and it makes me want it and fear that it will be too much at the same time. First sip is spices and floral hops and grains. Yeast is very noticeable as well, and the whole thing somehow manages to be sweet and soulful. There's citrus making things interesting and it is mostly rind, so it's caustic and unrefined, but that doesn't make the beer any less crisp. I'm going for the swig. My second Blue Pants beer, and the first was very good. This was recommended by the resident experts at City Sliquors, and they pointedly described it as tasting like candy. I'm not sure if that's a good thing, but some could argue that the good hard root beers taste like candy, and I seem to like them. It's too dark to be called really, really dark brown. I am sure I will get flak for calling it black, though. The head dissipates surprisingly quickly and leaves a scant lilypad across the top. The scent is coffee, chocolate, a smoky wood, and vanilla. The whole aroma is very sweet, and it's very inviting. Written by, directed by, edited by, and produced by Justin Benson. Who is he? No idea. What I know is that expectations for any movie that has one driving force behind it must be lowered. For every Steve Jobs-style driving creative force that works, there are a million guys who have a single-minded dream that they somehow get money for, and it should never have been allowed. This is a story that reminds me of the movie Scenic Route in that other characters are there to prod the story or create friction between the two main characters, but these two main guys (played by Peter Cilella and Vinny Curran) and repairing their lifelong friendship is the focal point of the movie. Everything relies on these two guys talking to each other and working things out. The main difference is that there is something else going on in the area where they are doing all of this, and it appears possibly supernatural. Here's the thing about this movie - it has a bunch of big name stars in it, but I never heard anything about it when it came out. Does that make it a sleeper? Is it a snoozer? After watching it, I'd say it was just plain under the radar. 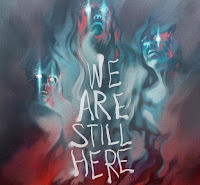 I don't really know what its deal is - it's no blockbuster, but it's not exactly something destined to become a cult classic. I would never have picked Patrick Wilson to star in my movie with this script, as he tends to be overshadowed in almost any role he fills. I don't know why, but he just doesn't strike me as the leading man that he clearly is. In the few movies I've seen where he stars, there's always someone bigger and better to steal the spotlight. The same is the case in this movie. I've not had a Bell's beer before, but the guys at City Sliquors recommended it, and those guys haven't steered me wrong yet. They had just gotten this beer in for their growlers as well as bottles, but the tap was going to take a bit, as the beer had been jostled during shipping. So, I am stuck with a bottle, and that's just fine by me. The beer is hazy and coppery in color. It's like a penny that's been sitting in a pocket for a few years, and that includes a few wash cycles. The significant head is sticky and leaves a nice lacing down the sides of the glass. 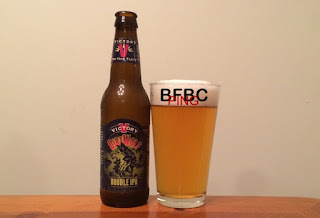 The aroma is delightfully light and hoppy with floral hops and sweet, bready malt. I can't help but think of Booty Sweat from Tropic Thunder when I read this name. I'm not sure if that was their intent, but that's the effect. Obviously, they have a sense of humor, so it has a sparkle of creativity right there on the label. This is my first Tallgrass Brewing beer, and I am loving that I have found so many good beers lately. It's a deep, deep brown with a tan head that dissipates nicely and leaves a shallow cap of head across the top to let you know this isn't a kind of soda - it's a grown-up drink. The aroma is dark and mysterious. It has smokey wood, bitter dark chocolate, and coffee. There is the undeniable smell of oatmeal, as you might expect, but it mingles with the smoke to make it seem overcooked. The third in the Bond filmes where Daniel Craig is the titular Bond, and this one is not a direct sequel to the other two. They are interesting in the way the first and second were dovetailed together, but this one really seems to fall back on a lot more of what made Bond films so memorable. What do we get that makes this different? A deformed Bond villain (Javier Bardem) who is really over the top in appearance and character.More gadgets (with the introduction of Ben Whishaw as Q).Supporting characters such as Naomie Harris as Miss Moneypenny.A viciously overly complicated plot for the villain to get what he wants.Strange attempts by good guys and bad guys to make the villain seem more powerful than he could be. 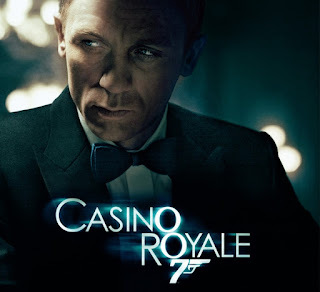 It had been quite some time since I watched this movie, and I completely forgot that it was so closely tied to the previous movie, Casino Royale. I mean, yes, I knew that it had Daniel Craig as Bond again, and he was still doing interesting things with a Walther PPK and an attitude, but I didn't realize that they storylines were so closely woven together. I mean, we have Bond still pining over his lost love, and M still dealing with the fallout from killing the big bad guy. This is as direct a sequel as you can get. As the new Bond movie just got released, and the suspicion is that it may be Daniel Craig's last, I went back to watch the first where he was cast as the leading man. I had really liked the Pierce Brosnan incarnation of Bond, but it got really, really gadget-heavy by the end, and that took it to a place well beyond its more realistic (although still fantastical) roots. The Brosnan Bond had become its own parody, and that was what made it lose its luster. It's important to recognize that this is where Bond had left off. This new Bond would be very thin on gadgets. 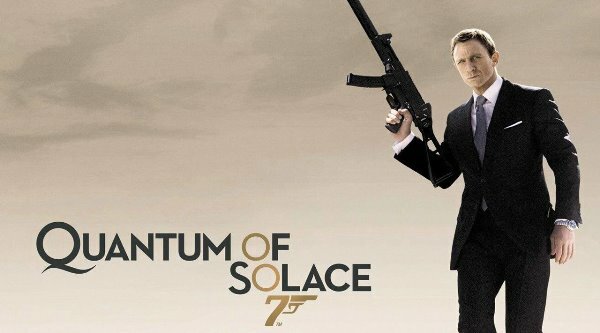 For the entire movie, we don't even see "Q" (the usual Bond quartermaster and developer of various technical wizardry). Instead, we get a couple little trackers that are smaller than a pill and a car with an emergency kit in the glove box. As a result, we are treated to physical stunts that have had a resurgence since Statham and Tony Jaa came onto the screen. I've always been fond of the relatively weak and inoffensive taste of amber beers. They are very good for sitting back and drinking while watching a sportsball match or chilling with friends. The problem with them comes from dissecting the experience of the beer, as it tends to be too watery for any kind of proper analytical appraisal. Still, it's a good style, so why not have one? The color of this clear beer is shockingly deep amber. The head is relatively light, but it's a bit sticky. Lacing only seems to stay 3/4 of an inch or so, but it's staying, so that's nice. The aroma is sweet, grainy malt. 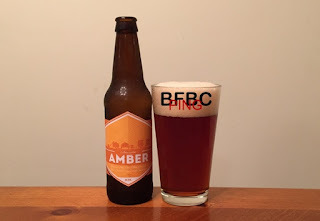 It reminds me of so many other amber beers, and I hope it brings the best that they had to offer. 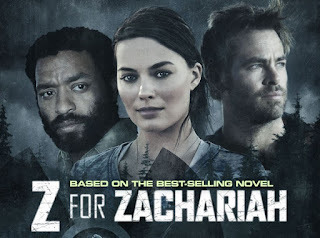 This movie is let down by some pretty lousy dialog, a racist story line that really doesn't seem to need to be shoehorned in, and acting that indicates that none of these men will ever act on screen again. The acting is so bad, in fact, that it (more than the production quality) reeks of being a made for TV movie for one of those channels that is ambitious, but they have no idea what they're doing. 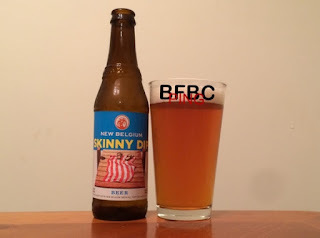 I was surprised how much I liked the most recent New Belgium beer that I had. They have had some spectacular failures, but most of their other beers are about average. I was told when I got the Slow Ride that New Belgium had started producing very good beers, and that one was just the start. So, I hope this is the next in a line of success. There's a very slight haze to the amber colored beer with the stark white head. The aroma is more bread and yeast than fruit, but I think I can smell a bit of fruit in there. Smells more like citrus than peach. Specifically, it smells a bit like orange peel. If it tastes like it smells, it will still be pretty good (depending on how sweet the malt is). Very few breweries have been as consistent as SPB. These guys have not gotten anything less than a 3.75/5 from me, and that is saying a LOT. While I'm generally not a fan of blondes, SPB's Suzy B was very good, and it showed that they have the capability to do wonders with the style. Usually, trying a new beer is taking a risk, but I think that I'm pretty sure to hit a good beverage this time. The straw-orange beer with the very thick and sticky head has the smell of grains and light floral hops. The smell is a shadow of a ghost, but it's there. While the aroma is excessively faint, it is playful and very inviting. I suspect the weak smell means that this will be a very good drinking beer. The head is leaving lacing like nobody's business. 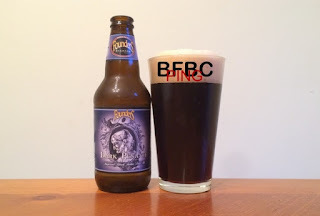 I have said before that I'm generally not a fan of imperial stouts, but I've said the same thing about brown ales, and look where that has gotten me. Fact is, I have found that the closer a beer gets to the standard of the breed, the more I tend to like it, regardless of the style. With certain styles, there is a bigger target to hit in the X ring, but that doesn't mean that styles that I generally don't like can't find the perfect balance. This movie lists itself as a comedy, but I would say it wasn't all that funny. In fact, I would go so far as to say that it was not funny at all. There are comedies, there are dark comedies, there are black comedies, and then there are comedies that only call themselves comedies so they can get a bigger audience than when they call themselves a drama. I'm not sure this precisely fits into any of these categories. 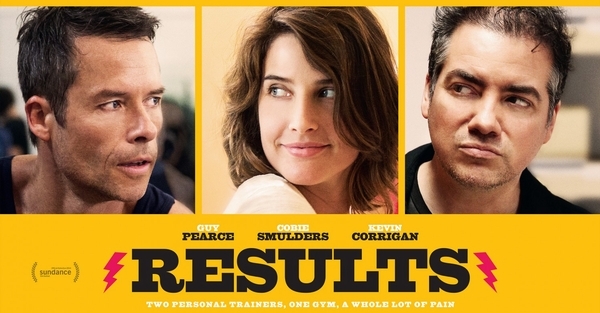 The way the story goes, we follow a young, very fit woman (Cobie Smulders) as she makes her way in life working in a gym as a personal trainer. She is a very determined and fiercely independent woman who enjoys her life well enough, but she doesn't really seem to plan for the future. Instead, she concentrates on the road immediately ahead of her. I wouldn't have thought (after only seeing her as Samuel L. Jackson's right hand woman in The Avengers) that Cobie could carry a movie as the lead character, but she knocks it out of the park. There are three main characters in this movie, and none of them are Reese Witherspoon. The three brothers (not actually brothers, but they were in the same tribe, so they refer to each other in this way) are actors you probably never heard of and will likely never hear from again. It's not that they didn't act well in this movie - they really did a fine job, even though not a lot of acting was called on from them. They all played confused, earnest men through most of the movie, so they didn't need a lot of emotion. The first third of the movie is their journey as children through Africa. They are refugees fleeing Sudan after being terrorized by the militia and government forces who appear to shoot pretty much anyone they come across. The journey is about a thousand miles on foot, and not all of the family survives. It's all pretty horrifying, but it's hard to really understand the scope of the violence (even with the dead bodies floating down the river). Victory is a great brewery. They produced the alcohol-heavy Golden Monkey, the fantastic Headwater, and the good Summer Love, among others. 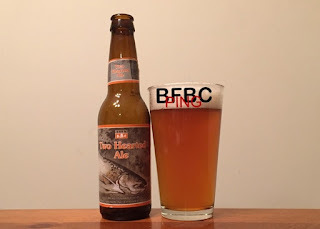 I had many others before I started this blog, and I regret not having a record of all of their delicious brews. I'd never even heard of this one before, so it'll be a delight to just get a chance to try something new from them. Its a slightly (very slightly) hazy orange-tinted yellow (some might call that amber) with a nice, sticky head that leaves lots of nice lacing on the sides of the glass. This appears to be highly carbonated, as the cascade of bubbles coming up from the depths doesn't stop, and this is a clean glass. The aroma is very hoppy, like the best of the Victory beers I've had before. It has spices and some citrus circling the heavy, floral hops that are extra bitter smelling. It's not that having Keanu Reeves in your movie is a guaranteed success, but I've come to like a few of his movies, so I figured I would give this one a try. You can probably guess that a glowing review of the movie would not start off with an explanation of why I was justified in picking this movie in the first place, and you'd be right. I did not enjoy this movie. 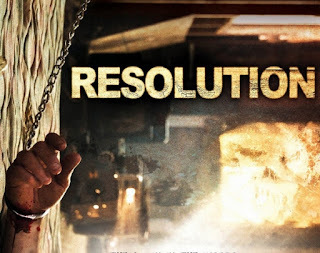 It's possible this move was so bad because Eli Roth decided to write, direct, and produce this movie, and very few people can do all three successfully. Eli pulled it off in Cabin Fever (where he also had a bit part) well enough, and then he did it in the increasingly unappealing Hostel series. I don't properly categorize movies that I review based on the country of origin or the production company. 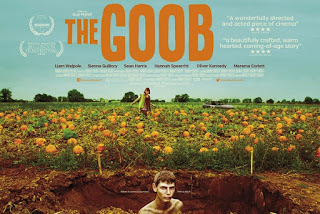 It's a shame, as I would like to see if all of the Irish Film Board movies rated well, and I suspect they would. Mind you, we probably only get the very best that they put out, and they likely put out quite a bit more that are sub-par, but it would be interesting to see the average ratings. The movie, as you may have guessed, takes place in Ireland. 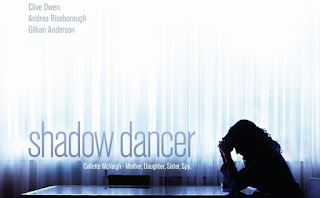 It chronicles Andrea Riseborough's character's life in the IRA from the death of her younger brother when they were children to her active participation in their war against the English. She's a bitter and confused woman who wants to do her part, but she is very conflicted internally, and she plays that part very well. While I generally have an unfavorable impression of imperial stouts or imperial IPAs, that doesn't mean I count them all out automatically. I find that there are some really interesting beers around the fringe of these kinds of beers like the black IPA or black lager or something like them. So, I'm really hoping that Founders (who have a good enough track record) do this up well. And yes, it's pretty black just like the label says. It has a ruby shine to it around the edges, but the base of the beer is flat black. The head is thick and sticky - it leaves copious amounts of lacing. 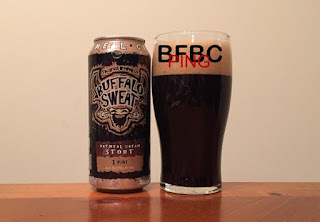 The aroma is chocolate and caramel malt with pine hops. It's very alluring. First sip is smokey and not nearly as bitter as I expected. Instead, it's well balanced and very smooth. The coffee and chocolate I smelled are muted, and there is more of a citrus and somewhat floral taste. It's very good. A full draught might make it great. It's easy to hate on Adam Sandler. The big issue is the name of his production company - Happy Madison. The very name transports me back to a time when he produced the new and innovative in-your-face comedic characters of Happy Gilmore and Billy Madison. Yes, they relied on jokes from his stand-up and SNL days, but they were well woven into the tapestry of a funny story, and I can't help but think of Bob Barker beating Happy up and smiling. Fast forward 19 years, and you have Adam still using the same old jokes, but implementing them worse, telling them worse, and relying on more comedians who have more talent and less money to support the weak and now unrelatable main character who is usually pretty much Adam Sandler with a different name and an actual job.